Kindred Ground. Our rustic barn and beautiful grounds are as unique as our name. We invite you to come visit us and experience Kindred Ground for yourself. Sit on the Barn balcony and look across the acres of wheat and corn fields. Stroll through the wonderfully scented herb and colorful flower gardens. Walk the lane to the grapevine covered corn crib. Delight in the antics of the chickens and mini-donkeys. Watch the sun set across the Genesee Valley. Connect with one another and with the land we have been entrusted to care for. We hope you will enjoy Kindred Ground as we do. 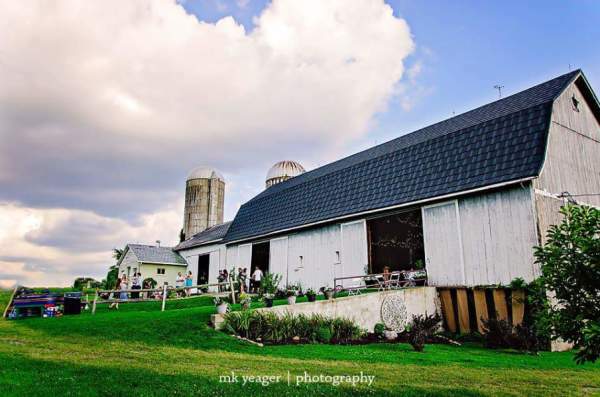 We look forward to working with you to create your perfect event here at Kindred Ground.